People who visit Vevo to check out a music video end up sticking around, on average, to watch one more. Vevo CEO Rio Caraeff would like them to watch 10 or 12, so he’s redesigned his site to make it stickier. It’s a pretty slick overhaul, or at least it seemed to be when I took a preview spin. But it’s up now, so you can see for yourself, which also means I don’t need to spend much time describing it. I do want to point out one feature. Like every other Web site in the world, Vevo wants to make itself more social, by making it easier to tell your pals what you’re watching, and easier to see what your friends are watching. No surprise there. What’s interesting to me is that when you log in to the site using your Facebook credentials, Vevo will have already “socialized” you — even if you’ve never used the site and none of your friends have, either. Vevo can do that by tapping into the music data that Facebook has already compiled about you, based on songs and bands you’ve “Liked,” and any music you’ve played via Facebook-connected services like Spotify. I know that Facebook’s “frictionless sharing” mechanics — where every action you take on the site is broadcast/spammed out to all your friends — built up an important data warehouse for Mark Zuckerberg. But I hadn’t quite processed that he was willing to share it with outside developers. Who will, of course, be that much more interested in working with Facebook, for that very reason. Speaking of Facebook: One reason it’s so important for Caraeff to make his site stickier is that his joint venture, which is co-owned by Sony, Universal Music, and other investors, is dependent on Google’s YouTube for the majority of its traffic. In the U.S., YouTube generates about two-thirds of Vevo’s views. Caraeff is starting to renegotiate a deal with YouTube that expires at the end of the year, and it makes sense for both sides to make it work. But Caraeff also wants options, which is why he is talking to Facebook, among other suitors. Those would-be partners would have to offer Caraeff traffic and revenue guarantees to make a deal work. But even with those in place, it would be even more crucial for Vevo to have a standalone site that users really cared about. 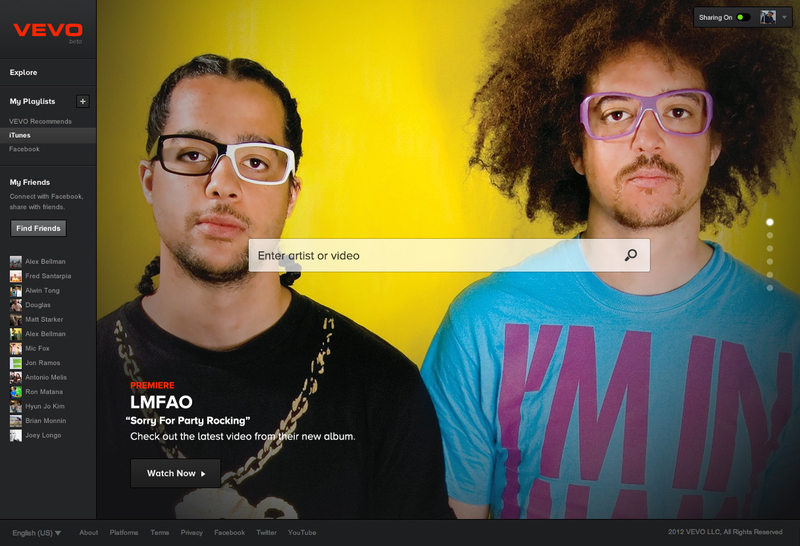 Caraeff would be overhauling Vevo, in any case. But if the new look makes his site that much more attractive to partners, even better.